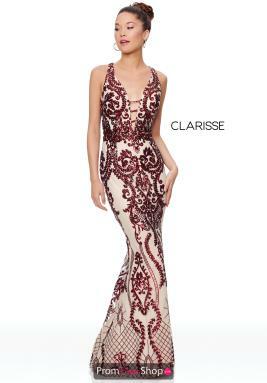 Clarisse, one of our newest designers to join the Prom Dress shop family, strives in providing innovative designs at an affordable price. Showcasing magnificent pieces with high quality chiffon, silk and lace and more mature accents, such as plunging necklines, mesh sleeves and lace bodices, you can be sure you are dressed to the nines in any of our fabulous Clarisse homecoming dresses. The 2019 prom dress collection is absolutely stunning with an array of colorful options. Find your perfect Clarisse prom dress today at Prom Dress Shop and receive free ground shipping and no sales tax (outside IL).